Utah Open Water: What's on Your Open Water Christmas List? What's on Your Open Water Christmas List? Small lap counter for keeping track of long swims in the pool. 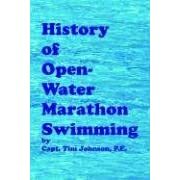 A comprehensive history of open water swimming. Utah's only open water marathon swim. 10K Swimmer has a great list of open water swimming related books and movies that is definitely worth checking out. I highly recommend The Great Swim, The Crossing and Swimming to Antarctica. Leave a comment below and tell us what's on your open water Christmas wish list. Thumbs down on the sport count! Seriously, that one only counts laps, the older model with a timer showed splits. Whilst the 2nd is better than the first, they both don't last very long...Just my 2cents! Hope all is well with the new baby! Oh really? Is the counter that bad? My sister just got the one that keeps track of splits, etc. but I don't know if she has used it yet. I would much rather be out in the open water and use my GPS to track distance and time, but going for long swims in the pool during the winter I hate trying to keep track of laps in my head. Check out Swimovate's Pool Mate. not sure when you'll be able to get one though! I've been looking into getting myself one before Xmas period, but to no avail! Out of stock!